Happy birthday Asha Parekh: On her 75th birthday today the veteran actor is experiencing mixed-feelings. The hospital, which was her dream project and to which she's devoted 55 years of her life has closed down. But that doesn't stop us from celebrating the 'Hit girl's' birthday. 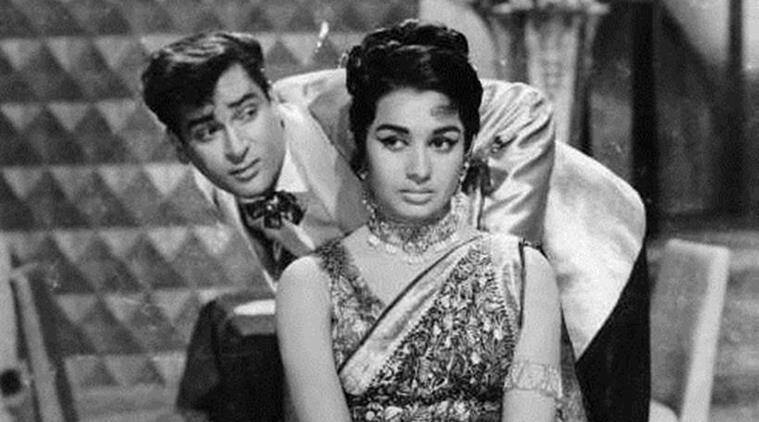 Asha Parekh feels a little sad that she couldn’t work on a film with Dilip Kumar. One thing you realise about yesteryears actor Asha Parekh when you meet her at her posh but lonely sea facing house in Mumbai is that she lives alone but doesn’t feel lonely. She has been an independent woman ever since she started acting. On her 75th birthday today the veteran actor is experiencing mixed-feelings. The hospital, which was her dream project and to which she’s devoted 55 years of her life has closed down. But that doesn’t stop us from celebrating the ‘Hit girl’s’ birthday. The veteran actor feels she has been lucky to have been in the top for the longest time as a ‘heroine’, but somewhere she feels a little sad that she couldn’t work on a film with Dilip Kumar. Here are some excerpts from the interview we at indianexpress.com had with her after she launched her book ‘The Hit Girl’. Today’s songs have more beats than song, so i have disliked remixed songs from the very beginning. Which was my favorite song? It is very difficult to tell you today because there were such amazing songs then, I can’t really pin point one. I have worked with a lot of them, and they were all great. But since I did my first film with Shammi Kapoor ji, he is my favourite. I was very shy to face the camera. In my first few shots with Shammi chacha, I was very nervous. He was very patient with me and guided me in every shot. He especially taught me how to lip sync and emote in the songs. It wasn’t difficult for us to act, I used to call him chacha outside the film and when we were shooting, we were professionals actors. So nothing bothered us. I was a dancer, so it was easy for me to dance in films. I had studied Kathak, Bharatnatyam, Kuchipudi, Odisi and Kathakali much before I even thought of becoming an actor. Today’s dance has westernised so much, Indian dancing is less. Sanjay Leela Bhansali tried getting that one good song with Indian dance, and it feels good seeing that. Of course there should be women empowerment, women should get every right. They need to fight for it because the society doesn’t look at women equally, and that’s not fair. There is pay-parity that’s has been through the years, even in my time. For me fortunately, my mother was my backbone. She was an independent and fierce woman, and she made sure I am too. She wanted me to be a brave person. Her yes was yes and her no was a firm no, and I took that from her. I would pick my own scripts, she didn’t interfere in my work, but she would handle my dates and schedules. Of course every mother would like to see her daughter get married, so it wasn’t like she didn’t try to get me married. But I don’t think i had marriage on my cards. Infact when I first started talking to Khalid (Mohamed) while writing the book, it was an emotional journey for me. I started talking about my parents and I realised how much I miss them. When they passed away I was totally broken. So it was difficult talking about it.